Use the form below to contact tour yogamystica directly. 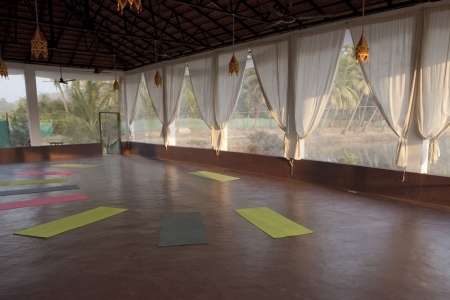 Yoga Mystica Teacher Training Retreat offers Yoga Teacher Training courses, Meditation and various other yoga courses at three locations in India which include Yoga Teacher Training in Goa, Yoga Teacher Training in Dharmasala and Yoga Teacher Training in Rishiskesh. Learn and Enhance your yoga skills in pristine environment amid tranquil and beautiful locations in Goa, Dharmasala and Rishikesh. 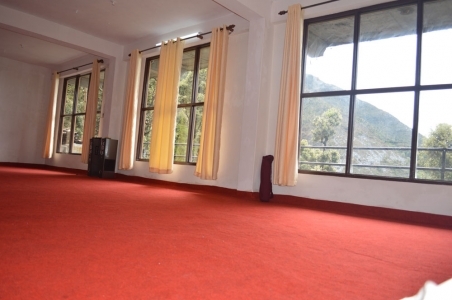 A world class environment created specially to cater to the needs of yoga aspirants, ethnic cottages with lake facing balconies, spacious halls surrounded by serene atmosphere and bountiful nature. Morning yoga starts with soothing sounds, chirping of birds and cool breeze, haven created for yoga enthusiasts for practices. Yoga Mystica enhances your knowledge, methodology and intricacies of yoga in a pure, undiluted form taught in its most traditional form. 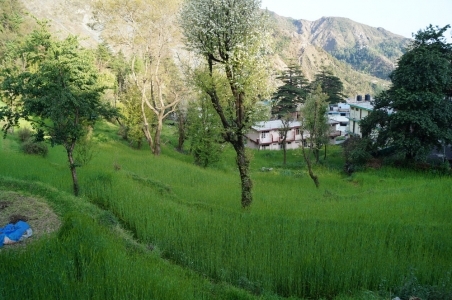 Deep diversity in Faculty ranging from different backgrounds with different styles enhances the learning abilities of yoga aspirants to learn various forms and ways of yoga like ashtanga, vinyasa and various yoga techniques of yin and various meditation techniques from different backgrounds like Tibetan, sufi and zen meditations. Starting with active meditations leading to inactive meditations, everything is taught under expert guidance. 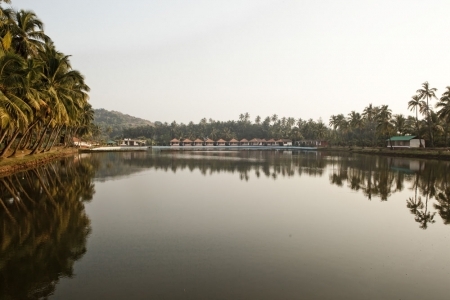 Yoga resort at Aramol beach, Goa with its whispering lakes spread across 5 acres is a melting pot with rich heritage, music, spirituality, music, dance and wellness remedies is a perfect place for yoga aspirants. 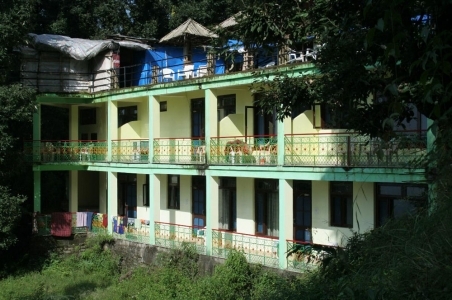 Accommodation: Single Room with attached bathroom and Hot Shower available. Madhur Rajpal was born in India and was introduced to Yoga and meditation at a very young age by his father. If we talk about his educational qualifications, he is an MSc in computer science however he clearly understood the power of Yoga to transform an individual’s life right from his childhood. So his focus remained undivided for Yoga and he made up his mind that Yoga will become a way of life for him. And clearly he has been living and breathing yoga all through his life now.Madhur is certified by Yoga Alliance in USA and Canada as an E-RYT (Experienced Registered Yoga Teacher) and by Yoga Alliance International India as well as the Indian government. 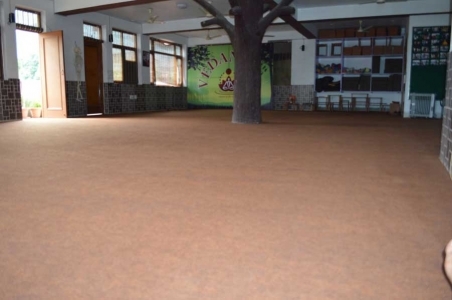 Having spent good 7 years at Osho International Pune resort, he learnt the various meditation techniques to develop a clear mind and spirit and a healthy body as a whole. He also successfully completed many courses which include the training program at the legendary Sivananda Ashram in Kerala.It’s more than 20 years that Madhur has been practicing different styles of yoga (Ashtanga, Kundalini, Tantra, Hatha) and he is also an accomplished Sivananda practitioner.His understanding of various healing arts along with his extensive background in Ayurveda, Rebalancing, Pranayama and Relaxation techniques have catapulted him among the best Yoga Trainers in the world. Madhur is master of “Bio Dynamic Breath and Trauma Release” as well and helped his students in this area.In Madhur’s words“Over the past many years, I have explored many different paths to health, healing and personal growth. My goal is to be a source of inspiration and information that enhances the live of those whom I teach. With my optimistic attitude towards life and deep sense of commitment, I approach my work with creativity and sincerity.With Yoga Mystica, Madhur has taken another step for his love for Yoga. This center would be the true representation of his reverence for yoga and will be a one stop for true yoga enthusiasts to understand and practice the finer nuances of Yoga and become a part of Yoga Mystica family for the rest of their lives. Madhur has structured each training program keeping in mind his practical experiences and what he found over the years were the training gaps that needed to be plugged. The programs therefore are perfectly balanced with theory and practical and help every student achieve complete balance of mind, body and soul. The different styles of yoga viz. Ashtanga Yoga, Sivananda Yoga, Kundalini Yoga, Tantra Yoga & Traditional Hatha Yoga have been combined so one can choose the way he/she wants to practice to get the perfect harmony. Our team of Yoga trainers and experts are with you at every step to help you realize your goal to be one with Yoga. Neil is a certified RYT500 Multi-Style Yoga teacher currently focused on therapeutic Yoga. He brings the experience of practicing, studying and teaching Ashtanga, Hatha, Vinyasa Flow and Therapeutic Yoga classes around the globe. Neil’s passion for Yoga began almost twenty years ago as it helped him restore his body after numerous injuries in life filled with competitive sport. An intense interest developed in the human body and its systems as well as Yoga’s effects on activating internal energies using breath, mudras and meditation. As a therapist Neil uses the science of asana help bring remarkable results in posture correction, improved balance, injury recovery and pain relief. Neil’s classes are filled with positive energy , inspiring students to approach asana from an anatomical as well as an energetic awareness.In addition to being a Certified Yoga Teacher, Neil is a Reike Master and Thai Massage Therapist, Reflexologist and student of Aureveda who loves exploring the miracle of mind-body connections.